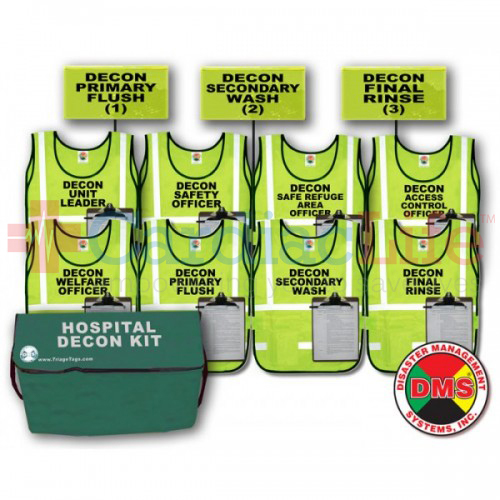 The Hospital Decon Kit is a management and response tool designed specifically for medical facilities. 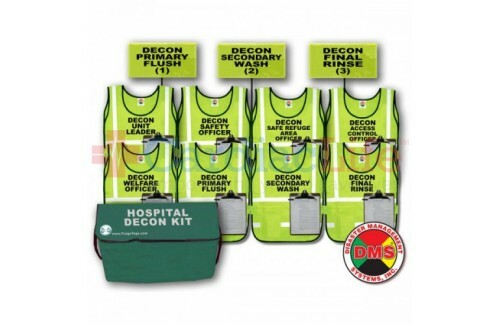 The Decon Kit will aid in expediting the identification and staffing requirements needed to initiate emergency patient decontamination. All Positions come with Clipboard and Responsibility Check List. Everything comes packed in a durable carry bag. Dimensions: 30" x 15" x 10"